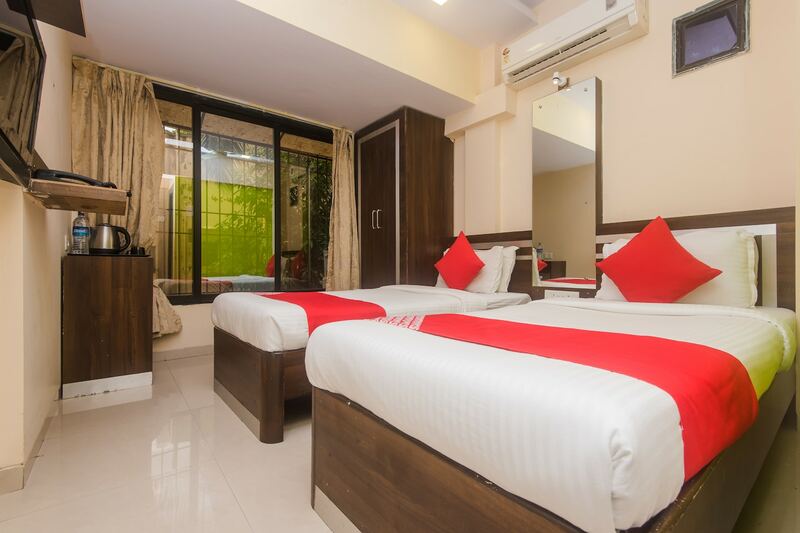 Hotel Daisy Residency is located in Andheri East, Mumbai and offers a comfortable and homely stay at a pocket-friendly price. The rooms are compact and designed with simplicity, focusing on the style of the dark wooden furnishings, wardrobe and dressing table, encouraging the cosy feeling. The hotel offers a common seating area, free WiFi connectivity and a parking facility. There are elevators available, for easy travelling between the floors. The hotel accepts card payments and has a friendly staff on hand for any needs guests may have. There are several restaurants and ice cream parlours in the vicinity of the hotel, and also connectivity with the Mumbai metro station.